Recently dubbed a “young pop God” by GQ, MAX just dropped his most honest single to date, “Love Me Less” featuring Quin XCII. This latest single is the next step in MAX’s sonic evolution and is already a true pop hit! Listen to “Love Me Less” on Spotify now! Grab a copy of “Love Me Less” on iTunes or Amazon. Be sure to follow MAX, Quinn XCII, and Secret Fangirls on Twitter for more on your favorite artists! Rayvon Owen is pop’s newest It Boy for 2018 and rightfully so! His upbeat introspective tracks are a fresh take on life and love with his smooth vocals adding the true shimmer on everything he does. You’ll be hearing a lot from Rayvon in the coming months as he puts the finishing touches on his forthcoming project which he says will put a lot of himself on display and let the listeners get to know him as a person and artist. “People go through a lot every day and I think you can get really down when you’re only hearing negative things about what people are saying about you, or what people are doing to you. I think that the best thing you can do is to be yourself and I hope that people find that message through my music,” he says. Listen to “Gold” on SoundCloud below! Grab a copy of “Gold” on iTunes and Amazon now. Be sure to follow Rayvon Owen and Secret Fangirls on Twitter for the latest on our favorite new artists! Good Charlotte and All Time Low are teaming up for a special string of dates on the “Back To The Future Hearts Tour” in the UK and the pop punk angels have gathered for some gang vocals! Celebrating Good Charlotte’s triumphant return to the pop punk world, “Makeshift Love” is streaming now on Spotify and available on iTunes! Check out the tour dates and listen to “Makeshift Love” below. Be sure to follow All Time Low, Good Charlotte, & Secret Fangirls on Twitter. 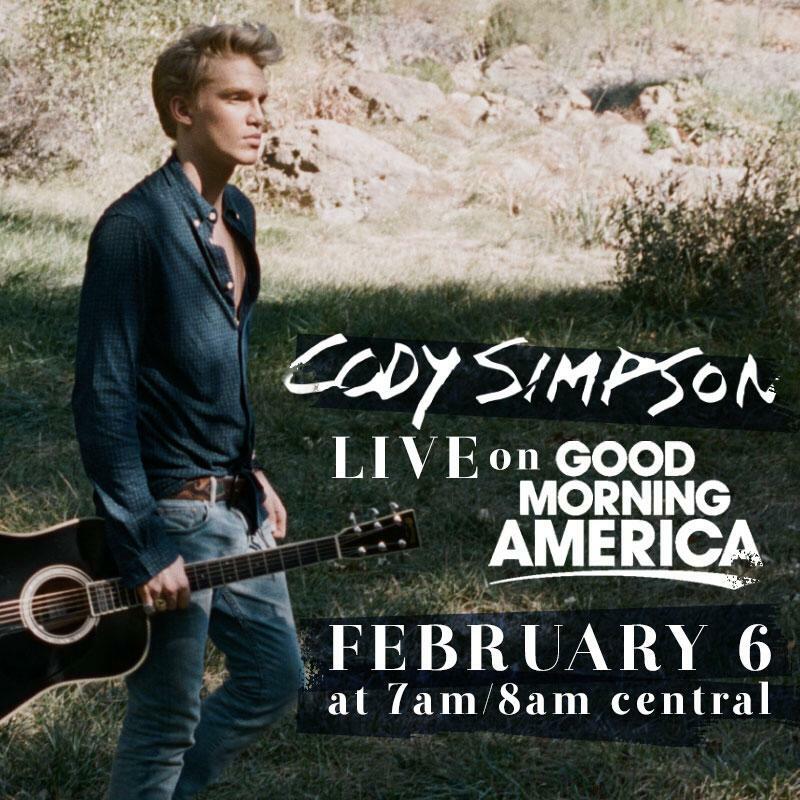 Cody Simpson is premiering his first single as an independent artist this Friday on GMA! We’ve been eagerly awaiting new music from Cody since he announced last Summer he was leaving his record label in order to make the music he’s been wanting to make all along. We can’t wait to hear the track, named “Flower,” especially after hearing the preview Cody posted on Twitter. Make sure you tune into GMA this Friday, February 6th to be the first to hear the new single! Or, if you’re in NYC, head over to Times Square Friday morning to try to catch it in person. Visit 1iota.com to sign up a chance to get a free VIP ticket to watch the performance from the studio! Be sure to follow Cody Simpson & Secret Fangirls for more updates! Vine superstar Shawn Mendes just released his new single called “Something Big.” It’s the perfect title for the song, since fans were able to actually move the release date of the song up a few days by tweeting #GetSomethingBigNov7 over 1 million times and counting. Talk about fangirl power. Listen to “Something Big” below and pickup a copy on iTunes now! Shawn Mendes will be on tour with Taylor Swift next summer so be sure to get your tickets before they sell out! Tickets go on sale soon, check out all the tour dates HERE. Follow Shawn Mendes and Secret Fangirls on Twitter for more updates. NEEDTOBREATHE’s New Album “Rivers in the Wasteland” is Out Now! South Carolina born & bred NEEDTOBREATHE, one of our favorite country artists, released their 5th studio album, “Rivers In The Wasteland” today! They also announced a new headlining tour which includes a New York show!! We don’t have nearly enough country artists booking shows NYC, unless they’re selling out arenas and stadiums like Taylor Swift, Luke Bryan, & Blake Shelton, so we’re happy they’ll be stopping by! Watch the video for their latest single, “The Heart” below! Check out the tour dates below and be sure to grab tickets when they go on sale Friday April, 18th! Pick up a copy of “Rivers in the Wasteland” on iTunes or Amazon! Be sure to follow NEEDTOBREATHE and Secret Fangirls on Twitter for more updates! Cody Simpson Releases “Surfboard” Music Video! One of our songs of the summer is guaranteed to be the catchy single, “Surfboard” by Cody Simpson. We love the retro intro that melts into the r&b chorus. The video is out just in time for summer and we can’t be more excited! Watch the official video below! It’s a shame that Cody Simpson got sent home this week on DWTS! He was just too good for the competition. We were hoping for a final dance-off between former tour mates James Maslow & Cody Simpson! We can’t wait to see Cody this summer at the BLI Summer Jam at Jones Beach! Tickets are on sale now! Be sure to follow Cody Simpson & Secret Fangirls on Twitter for more updates!